The tarot has helped me cope with pain, identify my next step when I feel lost or confused, and has kept me on track toward my goals. When I am plagued by inertia, I consult the tarot for a strategy plan to get myself back on my path to success. It has also been there to offer spiritual guidance in my most profound times of need. The Rider Tarot (U.S. Games, 1971). All Rights Reserved. I hope to share my connection with the tarot. Follow me on Instagram and you’ll find quick shots of tarot from day to day. 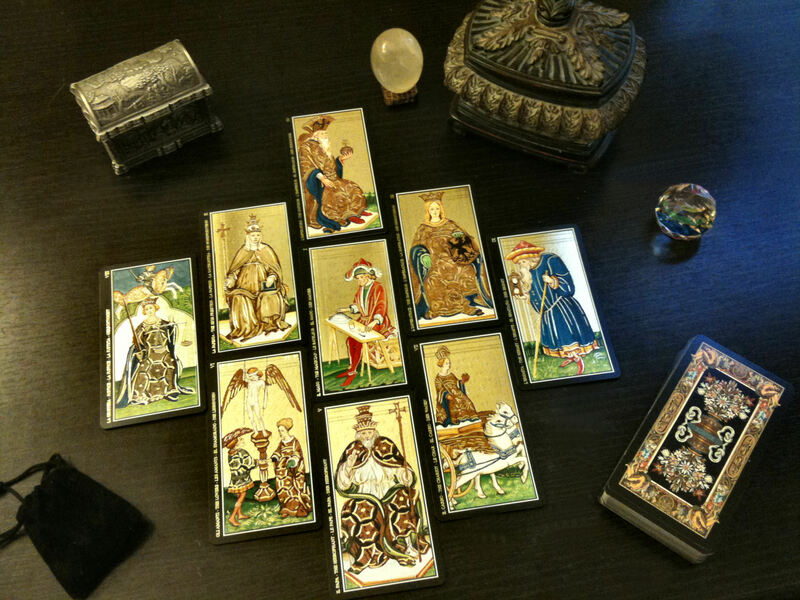 Whenever I come across a cool article or post that’s tarot related, you’ll see it on my Twitter feed. Visconti Tarots (Lo Scarabeo, 2000). All Rights Reserved. 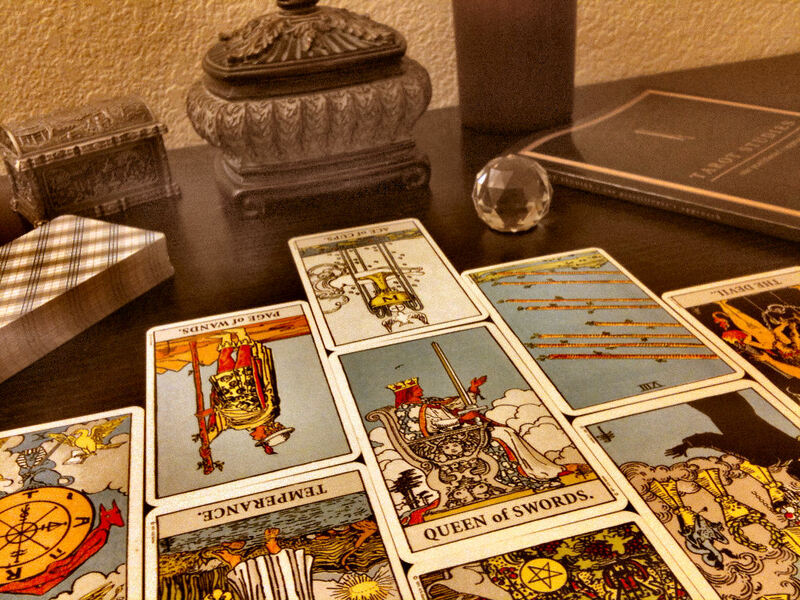 For the beginner, let’s go over some tarot basics. Click onward. Hi Benebell, what a beautiful deck the Visconti is! I wonder: which year’s print are the ones in the picture? You mention the year 2000 copyright, but there seems to be many different reprints out there. I am struck by the card images here. Benebell you are amazing. I am new to tarot. I bought both your books and they are UN-freaking-believable! Wow! Thank you for your ongoing amazing and comprehensive contribution to so many metaphysical subjects. I was afraid of tarot at first because of the imagery on the cards. But I set that aside and opened my mind to really learning the whole system. I am very early in the process, just pulling 3 cards at a time, but I am blown away by the accuracy. It is fascinating. Then I discovered your second book and it is amazing also. So much to know and learn! Thank you so much, too, for all of the incredible material you have put on the web. All of this will keep me busy for a very long time to come. Awesome!